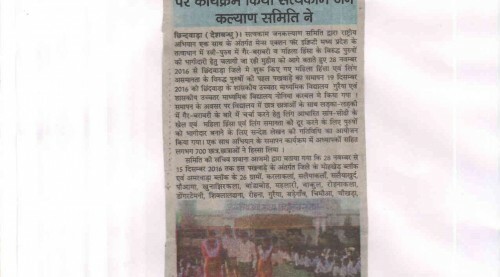 Internet Saathi programme is a digital initiative programme being implemented in Chhindwara district by Satyakam Jan Kalyan Samiti (SJKS) in partnership with Tata Trusts, Google India and Phia. This programme aims to address the gender disparity in internet use in rural India which puts women in rural India at further risk of getting marginalized in the society. 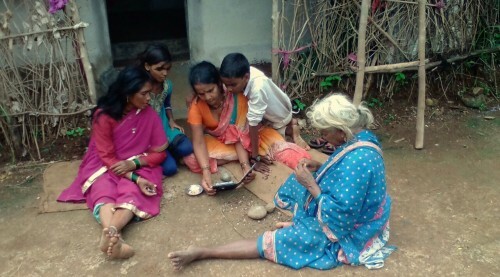 It seeks to do so by empowering rural women and communities in digital literacy. The programme commenced with a two day training programme to train Internet Saathis in batches of twenty-five to thirty women. The training included hands on modules on how to use Internet through mobile devices to Internet Saathis. Each Internet Saathi was provided with a tablet and a smart phone. In phase I and II of Internet Saathi Propramme , the purpose of this training was to enable 150 Internet Saathis to reach out to approximately more than 1 lakh rural women in 580 neighboring villages and impart training to them. Each of the trained Internet Saathis would cover four neighboring villages including their own village.